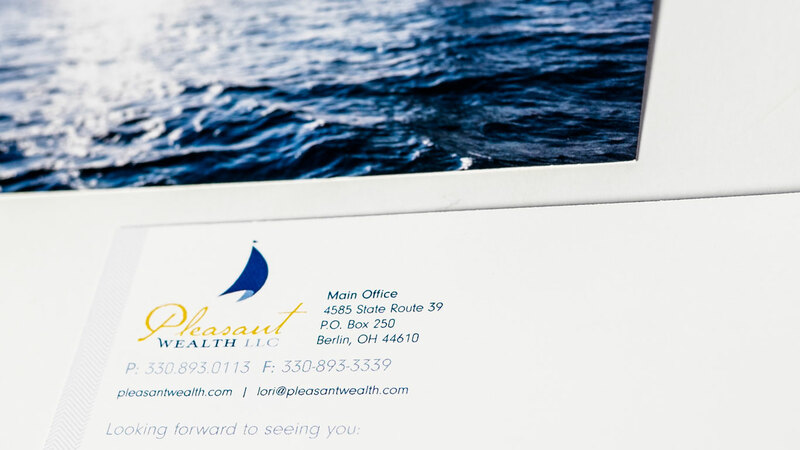 Pleasant Wealth is a group of financial advisors who believe in having a plan for your financial future, no matter where you stand today. They see it as their duty to work with clients in ways that best set them up for what is most important (hint: it’s not just finances). We have been working with Pleasant Wealth since 2006. 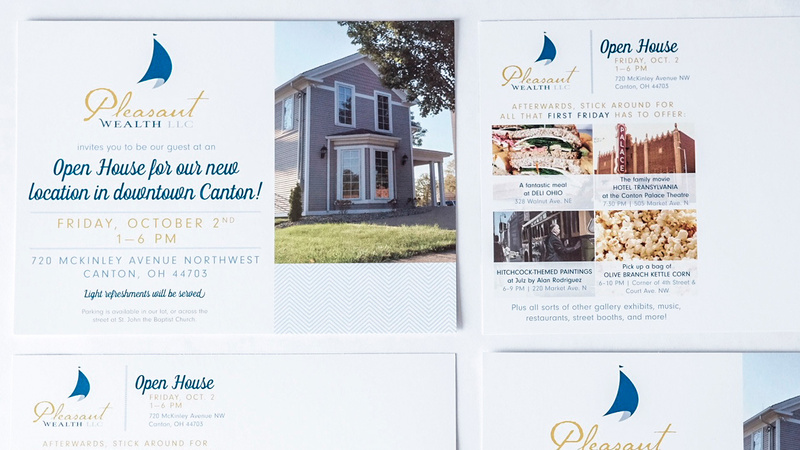 Pleasant Wealth wanted to move away from the idea of wealth as their main focus, and instead focus on what is pleasant. 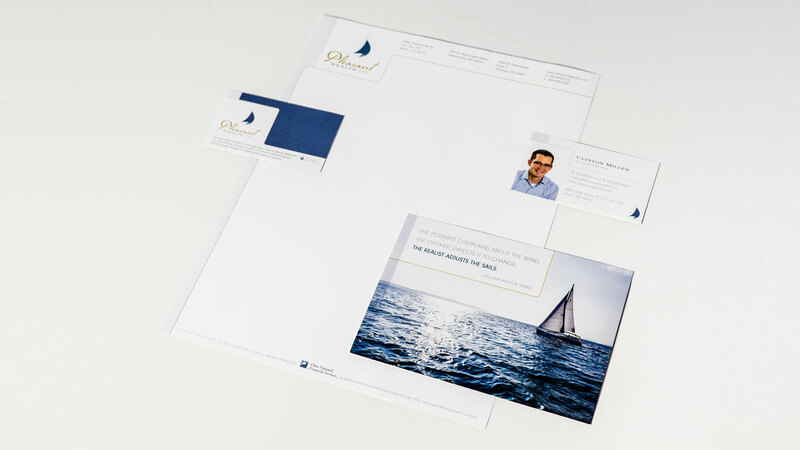 They chose the sail idea because of the peace associated with being on the water. Taking the metaphor further, each person has a different ship and varying waters; regardless, one still needs a good captain. 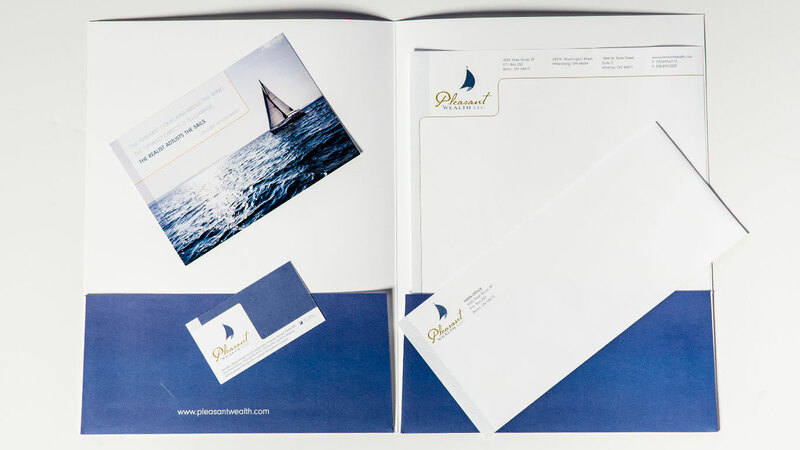 The Pleasant Wealth collateral materials – business cards, a folder, letterhead, envelope, and appointment card – carry the new brand into items that the staff can use when networking or delivering information to potential clients. Emphasis is on showing the faces of the financial advisors with whom clients will be forming a relationship, as well as highlighting a quote that serves as metaphor for how the PW team approaches fiscal management. At Cassel Bear, we love the opportunity to partner with our clients as they celebrate growth in their businesses and organizations. 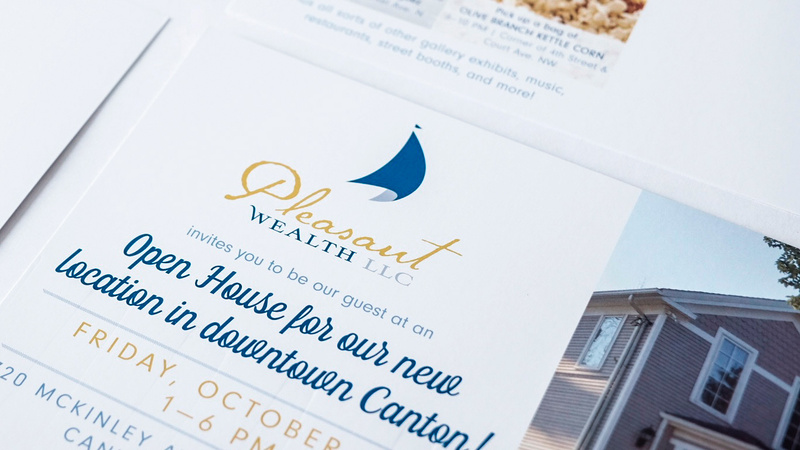 When Pleasant Wealth opened their new office location in downtown Canton, we jumped into action with a bunch of materials that captured their existing brand and adapted it for a new client demographic. 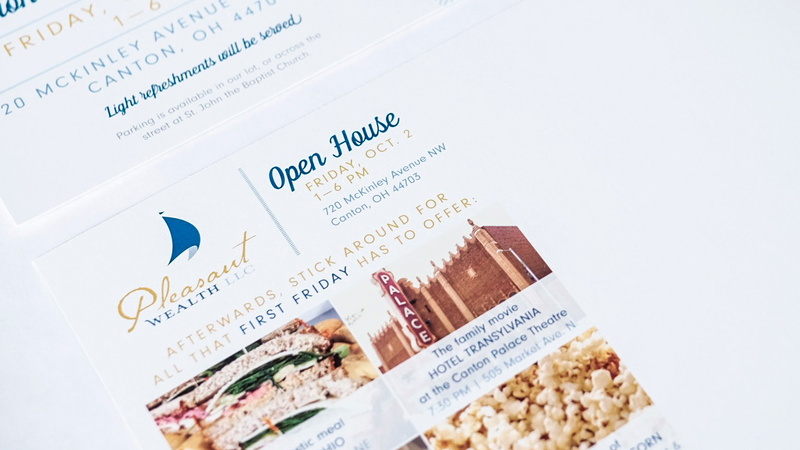 In addition to location signage and a rack card that introduced the staff, we designed an invitation which invited current and potential clients both to stop in at an open house at the new building and take advantage of everything that Canton has to offer as part of the First Friday celebration. 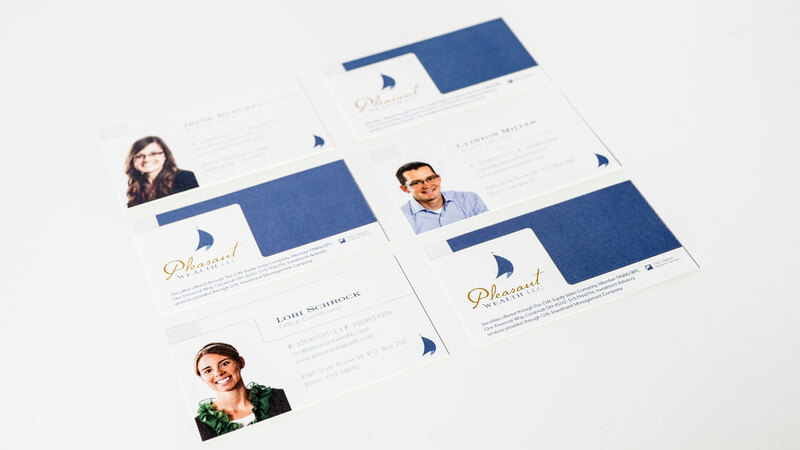 For the Pleasant Wealth stationery, we brought in a chevron pattern on the sides and the updated brand colors. 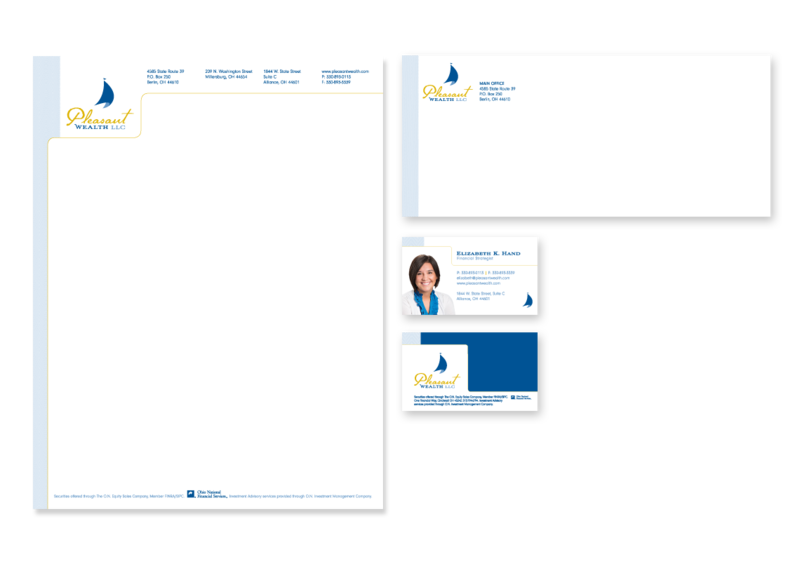 We retained some of the previous brand elements for continuity.